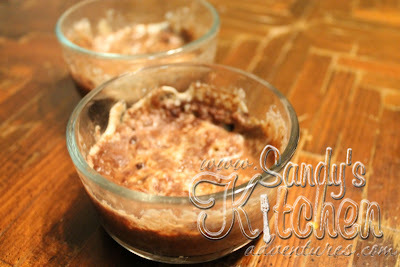 Blended cottage cheese with sugar free syrup is used to make this awesome dessert. I have tried it cold and warm, but my preference is warm! Right out of the microwave is the best way to eat these in my opinion! Enjoy this yummy recipe! split between two small ramekins. Mix up your soft bake according to directions, and set aside. Whip the cottage cheese with the syrup in a small blender to get the lumps out. Pour the cottage cheese mixture over the brownie, then top with drops of the soft bake. Microwave 1 minute (it will be underdone). Eat warm or freeze 30 minutes and then eat.